Orhan Pamuk, Secularism and Blasphemy is the first critical study of all of Pamuk’s novels, including the early untranslated work. In 2005 Orhan Pamuk was charged with "insulting Turkishness" under Article 301 of the Turkish penal code. Eighteen months later he was awarded the Nobel Prize. After decades of criticism for wielding a depoliticized pen, Pamuk was cast as a dissident through his trial, an event that underscored his　transformation from national literateur to global author. By contextualizing Pamuk’s fiction into the Turkish tradition and by defining the literary and political intersections of his work, Orhan Pamuk, Secularism and Blasphemy rereads Pamuk's dissidence as a factor of the form of his novels. This is not a traditional study of literature, but a book that turns to literature to ask larger questions about recent transformations in Turkish history, identity, modernity, and collective memory. 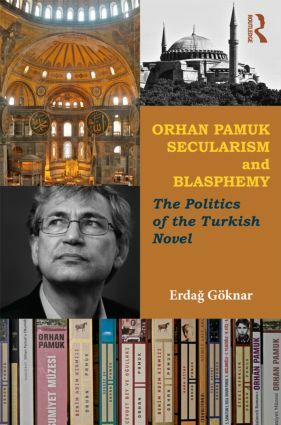 As a corrective to common misreadings of Pamuk’s work in its international reception, Orhan Pamuk, Secularism and Blasphemy applies various analytical lenses to the politics of the Turkish novel, including gender studies, cultural translation, historiography, and Islam. The book argues that modern literature that confronts representations of the nation-state, or devlet, with those of Ottoman, Islamic, and Sufi contexts, or din, constitute "secular blasphemies" that redefine the politics of the Turkish novel. Concluding with a meditation on conditions of "untranslatability" in Turkish literature, this study provides a comprehensive and critical analysis of Pamuk’s novels to date.